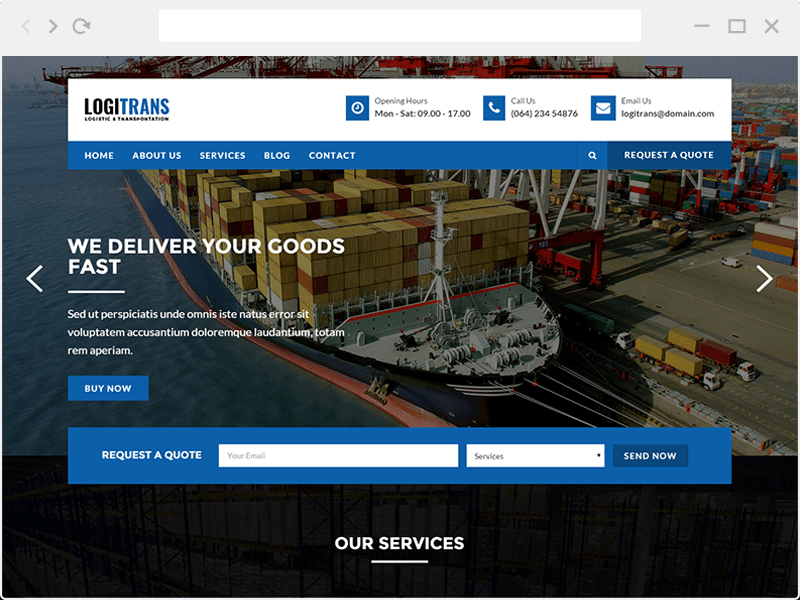 Introducing Logitrans, the best premium website template for Logistics &Transportation WordPress Theme. Logitrans is easy to use, it provides everything you need to create great looking website. It is a responsive and designed to give yourtransport business’s website an elegant look. 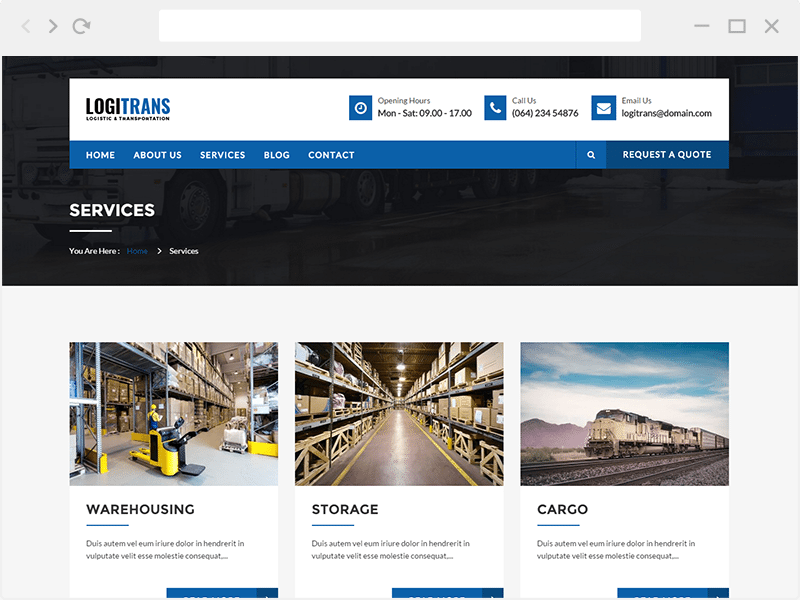 Logitrans comes with wide range of homepage layouts that will fit any transportation industry size. Whether your company handles air freight, ocean network, or overland network, or all of them together, or many other services, you’ll certainly find a layout that will fit your needs. 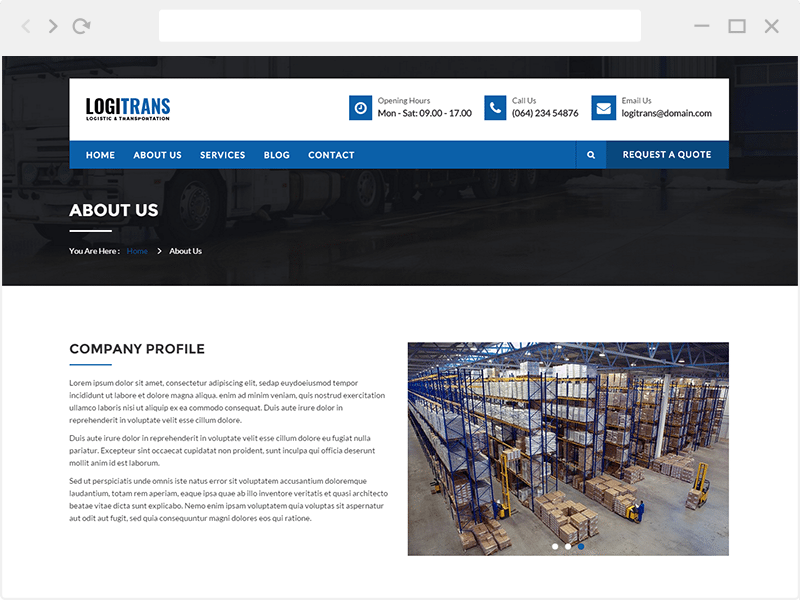 Logitrans will show off your work with this easy-to-customize and fully featured Site Template. Customizing is easy even for beginners, but if you need help with customizing or setting up this theme, we will be glad to help you. Just contact us via our support tab. Font Awesome & Logitrans Icon. This page is full of custom field. All content is require custom field. This page template will show your Service post type as a grid post.